DC Comics superhero Wonder Woman is now here to help you see in the dark. 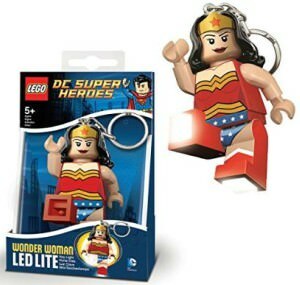 This is a LEGO figure of Wonder Woman complete in her superhero suit, boots, and tiara. You simply press the chest plate in and both legs will project the LED lights shining out strong and bright. Wonder Woman’s arms and legs move letting you pose the legs to shine the light were you need easily. The flashlight key chain is fastened and very high quality so it will last a long time. The Wonder Woman LEGO key chain also comes in window box packaging so the true collector can keep it in mint condition and still display it for all to see. Light up the dark with the cooliest lamp in the galaxy. This is a lamp that looks just like a lightsaber from the cool series of movies Star Wars, with a glowing shaft that lights up it is the perfect desk lamp beside your computer. The base is also the charger and it is USB powered the lightsaber can also be removed from the base and used as a portable flashlight, measures about 13.75 inches tall while in base. Use the force and get this Star Wars USB Lightsaber Lamp. If you watched Toy Story then you know that Mr. 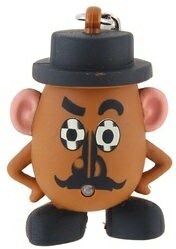 Potato Head can be a bit grumpy and if you look at this key chain then you know he is grumpy now. This Toy Story Mr. Potato Head key chain even has a light build in so that you can see where you are in the dark. 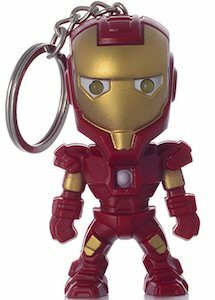 If you like fun key chains that are based on movies and TV then this is the one to get. Come have a closer look at this Toy Story Mr. Potato Head Key Chain. Your friends from the hit TV series Friends of course have a key chain just like this. Maybe it is because Rachel gave it to them or maybe it is because it is such a handy key chain. Of course this key chain shows the logo of Central Perk the favorite coffee shop of Friends. But that is not the only great thing of this key chain. No besides the logo it also has a build in flashlight. 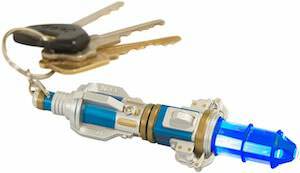 So now when you get home at night in the dark looking for the lock to put your key in you can use the flashlight on your key chain. If it is time for coffee then run to Central Perk and when you are there buy this Friends Central Perk Key Chain And Flashlight. If it’s time for your first watch, then this is the perfect watch, features a digital time display. This is a Spider-Man watch that is the classic red and blue colors of Spider-Man with some cool art work on the band. Also you will find a great image of the high climbing Spider-Man on the face of the watch, this image also can be projected on to a wall or celing with a nice and clear Spider-Man showing up. Another great idea is it could act as a flashlight or a nightlight. 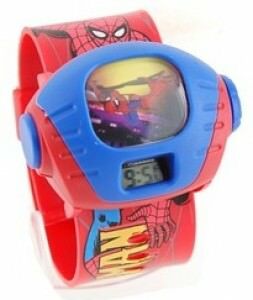 Get your Marvel Spider-Man Projector Watch. Darth Vader is, of course, one of the characters you remember from the Star Wars movies and now he can be with you all day long as a little key chain. But this is not just a Darth Vader key chain no this is a LEGO minifig key chain of Darth Vader witch also can double as a flashlight because there are led’s build into Darth Vader’s feet. 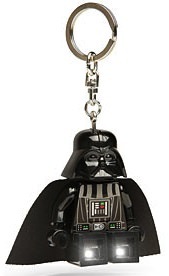 It does not matter if you like LEGO mini figures or Star Wars this Darth Vader key chain will make everybody happy. This play light will give your Spider-Man fan hours of fun. This is a flashlight with Spider-Man design on it but that is not all. You can pace one of the 6 designs in front of the light and then the design will be projected on the item you choose like a wall. Now you can project all kind of Spider-Man thing like a web, spider or his head. Check out this Spider-Man Flashlight Projector. Toy Story 3 , Disney Pixar has yet again lit up the screen with a brilliant movie for any age. Now you can light up the dark with this cool Dr. Evil Porkchop flash light. Just squeeze his tail and his mouth opens up to show the light and he also makes a fun sound. 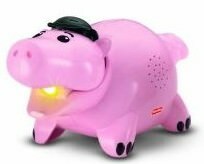 Get your Toy Story 3 Evil Dr. Porkchop Light.